“Technology” does not have a multitasking problem. Multitasking has a multitasking problem. The problem with our always-on digital world is that everyone is trying to multitask. The less technology you use, the less that will be a problem. Or, so many people will tell you. Technology has nothing, or at least very little, to do with it. Don’t blame the sunset for distracting you from your work. Anyone who does good productive, creative, inventive, inspirational work is able to solve this problem. By scientific definition, the executive function to focus on completing a task successfully precludes multitasking (from technology, or any other source). Executive function can only handle one problem at a time. (Oh, but were we wired otherwise!) So, the issue is not multitasking, but distraction. Those who are easily distracted today by Twitter and Angry Birds and Facebook and Game of War are easily distractible. That is not a technology issue. (I freely admit I am easily distractible, too!) We all had friends in school who would suddenly fall behind the group, having stopped to observe an ant hill or sunlight through leaves or a pretty attraction, some object of desire. Same as it ever was. What has changed is the manifestation of our distraction, in plain sight for all to see: those darn phones! When I am with my wife at a restaurant, she can (usually!) tell if my mind is off somewhere else, undeterred that she is trying to have a conversation. This is human nature. However, if I am equally (or even less!) distracted by looking at my phone, be it a text message or solitaire, she is all the more annoyed and lets me know in no uncertain terms. I can’t say I blame her—I feel the same way. The direst prediction offered by digital critics—our phones are really pocket-size deep fryers for the mind—may be untrue, but the alternative I’ve suggested sounds nearly as bad. The appetite for endless entertainment suggests that worthier activities will be shoved aside. We may buy Salman Rushdie’s book, but we’ll end up sucked in by Flappy Bird. That doesn’t quite seem to be the case, either. Research shows, for example, that the amount of leisure reading hasn’t changed with the advent of the digital age. Before we congratulate ourselves, though, let’s acknowledge that brainier hobbies have never been that popular. There have always been ways to kill time. And so we arrive at the point of interest. Our devices are not going away, nor all the “unproductive” ways we use them. Their ability to distract us seems limitless. 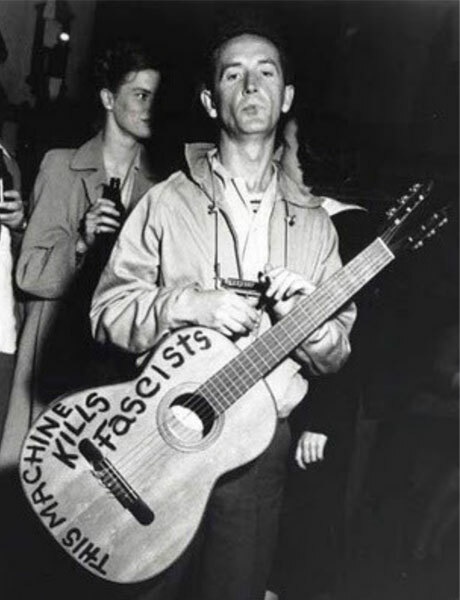 Woody Guthrie understood that an instrument or tool’s power lay in the hands of the user. However, their ability to engage us is equally limitless! They can take our notes, capture our thoughts, connect to people and ideas, and answer our pressing questions, large and small. As with any tool that we have ever made for ourselves, from the wheel to the PC, it is only as productive as the person using it. Productivity, creativity and motivation (or lack thereof) remain the essence of human action. I argue that as many people may be turned into entertainment-distraction zombies, an even greater number of us have been hooked into networks, hobbies, niches and communities through digital portals. I can tell you this: The hours I spent in front of the Gilligan’s Island and Hogan’s Heroes when I was a child would have been much better spent on Facebook and Twitter. As a learning professional, I say rather than battle our little distraction machines, let’s redirect to make them little engagement machines instead. When I plan a learning experience now, I find a way to incorporate mobile devices into the flow of the activity (synchronously or asynchronously). People need to learn how to how to hold it right to make it useful for productive purposes. Words With Friends will always be there when we need a distraction—but you can’t multitask that game, either.